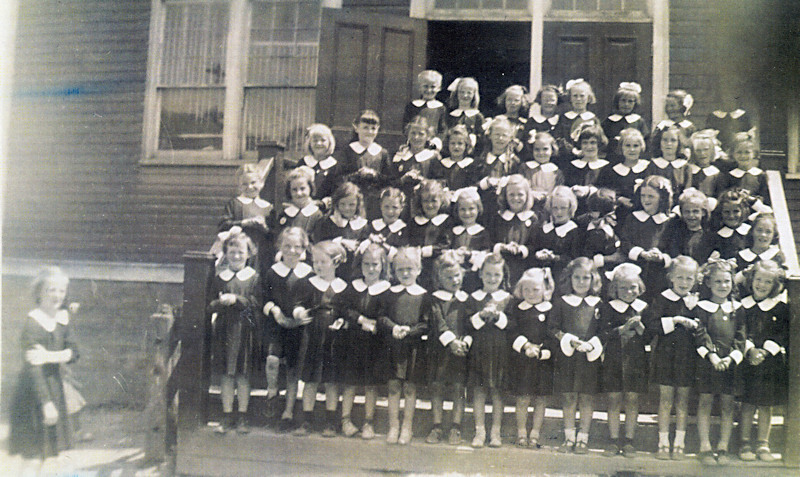 students from at least two grade levels, possibly K – Gr. 1, 2, or 3. (6) unknown; (7) Theresa Newman; (8) unknown; (9) Shirley Ezekiel; (10) unknown; (11) unknown. (6) Lena Young; (7) Patricia Sweeney, (8) unknown). Identity of girl to left side of photo unknown.